Not only are there a multitude of places on campus, there are also some really relaxed and casual places in Winston-Salem to study and get away from the stresses on campus. Here are a list of some of my personal favorite study spots; however, the one that works best for you is for you to find. First and foremost, the most iconic study place of all is the ZSR library. Like most students, I have spent my fair share of sleepless nights in ZSR, and there is a high chance you all will as well. Sometimes you will spend hours on hours in the ZSR doing the loads of work you have to complete. Other times you will spend hours on hours in the ZSR distracting your friends who have hours on hours of work to do when you have a relatively “light week” of studying. The library offers all kinds of study locations that offer different perks. My personal favorite is the atrium. The atrium is right in the center of the library and while it›s not the most quiet, it is incredibly comfy and lively to keep your spirits up. While it is can be very easy to get distracted by people-watching or seeing your friends, to me it is not as sad as the boxed-in the small, dark study corrals. But the benefits of those are that you will get an absurd amount of work done because you will not get distracted. Another group of study locations in the library are the study rooms, which are reservable. These are great for group projects or studying with your friends in a closed setting. The library has many secret nooks and crannies, so be sure to explore around and find what works for you. Keep in mind that the higher you go, the quieter it gets. Be sure to not disrupt the silence that is the eighth floor. The Starbucks in ZSR is also a great place to study if you want somewhere with a little bit of action, but still an environment where students are working. The Starbucks is open until 1 a.m. and has a good amount of seating available. Beyond the library, the academic buildings throughout campus also offer great study spots that feature a more private environment. Most students don’t think to go there during the year, so check it out for a change of pace, especially if you want to go with a group of people. These are great places to explore during the day in order to finish up that reading in between classes. However, most of the academic buildings lock at night, so keep that in mind when choosing a place to start your ten-hour long project. 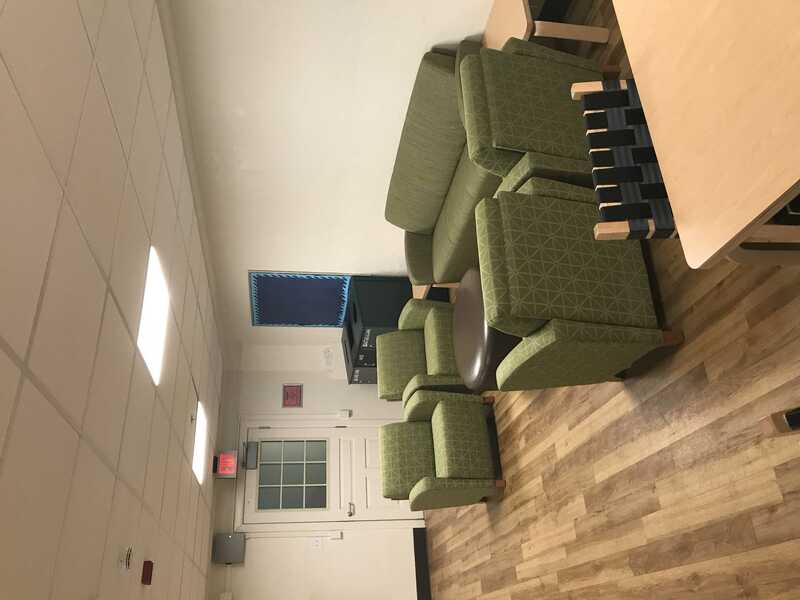 If you’re looking for something a little more social, but not as distracting as your room, your dorm lounge is a great middle-ground. These lounges are the social headquarters in many ways, but they are also very useful to study and work with groups and are great when you don’t want to venture far from your room. While your room is always there for you to study in, many find it impossible to study with either an immense amount of sound from their roommate or hallmates or with the comfiness of your bed and the urge to watch Netflix. Inside Benson are many places to study. If you like a little bit of background noise and action, right outside the food court there are high top tables that are great for doing some work. If you need more space of seek comfort, on the third floor there are bigger tables and even some couches and chairs available. If the weather permits, the Benson courtyard has many tables that are spacious enough for homework and studying. While many students hide in Farrell or ZSR, Benson is another location for students to study, and even has food right there for your study breaks. One of my favorite places to study is easily The Pit. The Pit is our main cafeteria in Reynolda, and you will hear the phrase “Pit Sitting” many times during your years at Wake Forest. Not only can you hang out in The Pit as long as you want once you swipe in, but you can also eat the whole time. And with the newly added electrical outlets, The Pit is the perfect place to sit for hours studying and snacking endlessly. If you are a early morning person, a great strategy is to go to The Pit early for breakfast and just study the calories from the pancakes away. Outside of Wake Forest, the city of Winston-Salem also has many popular study spots. Downtown, there are many coffee shops like Krankies and Camino where it seems like every student goes to study. While they are packed often, if you can find a seat, it is worth it. At Camino, you are right in the center of Winston-Salem surrounded by amazing food and places to explore during your study breaks. In addition, check out the university’s expansion downtown to find cool places to study outside of the Reynolda Campus. The Innovation Quarter (IQ) or Wake Downtown is the new hip place to study for many students. You will be able to escape campus for a while while still have the privacy of the Wake Forest student body to study. To make it easy on freshmen and those that don’t have cars, Wake Forest has shuttles that go the IQ. No matter your preferences of study spot(s), you will find one you love at Wake Forest or in Winston-Salem. And once you find yours, you will fight for it during finals week when every spot on campus is somehow occupied with students you have never seen before. Nonetheless, studying will be a huge part of your four years at Wake Forest so it’s important to find a location that works best for your study style, whether it be quiet, social, closed-off or open. Wake Forest and Winston-Salem have it all and you just have to discover it.